A beautiful, responsive template for public events, conventions, summits, exhibitions and more. Joomla! Day template delivers a beautiful and responsive design for public events, conventions, summits, exhibitions and more. It is dedicated to all Joomla volunteers across the world who make Joomla great day after day and it is free to all Joomla User Groups! 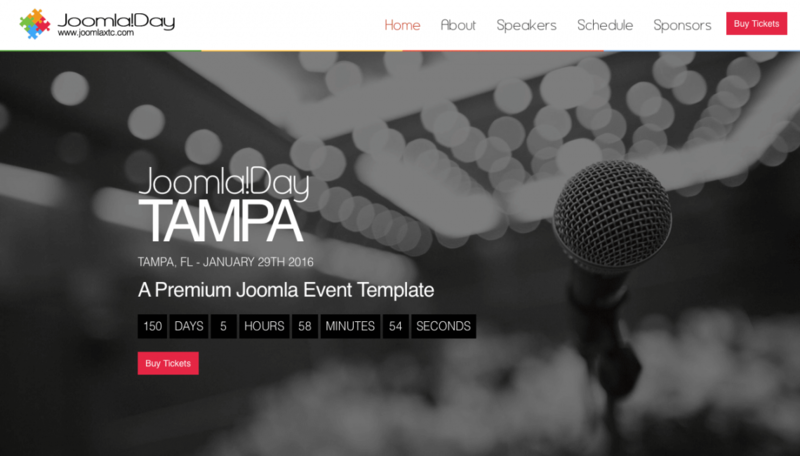 The template demo content is based around a Joomla Day event and comes fully equipped with support for some of Joomla's top extensions.